Sudoku 1on1 has been published one year ago. 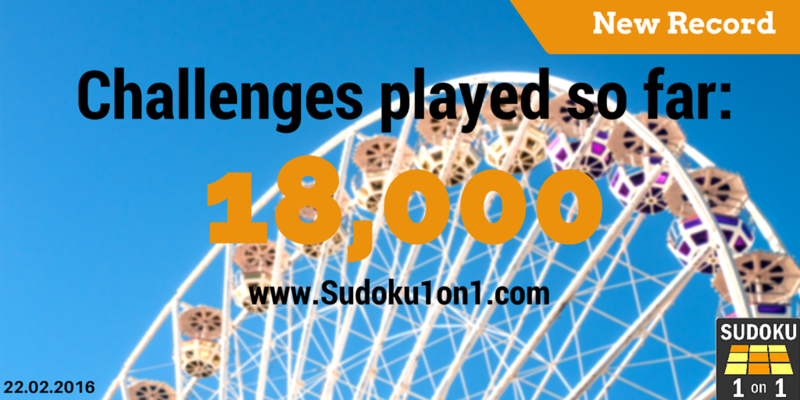 Now we reached new milestone: Our users played more than 18,000 Sudoku challenges since the start! All numbers on a daily and monthly basis can be found on the statistics page: online statistics page.